Welcome to Sterling Shores! 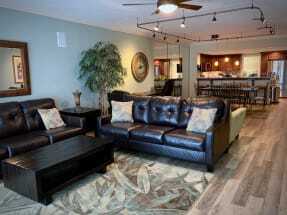 Emerald Coast by Owner is happy to be your premier vacation rental service for this beautiful condominium complex! 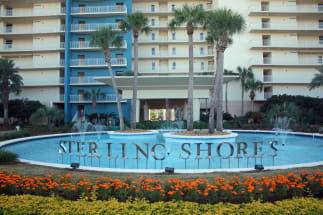 Sterling Shores is situated right along the coast of Destin, Florida, and is the perfect place to stay, especially for families! Just a short distance from everything there is to do around here, you couldn't be in a better location! This complex comes with a wide variety of amenities, such as the elegant pool with its unique design, the endless views of the Gulf of Mexico, the exercise room, the bar and grill and so much more! As for the condos, each one consists of a full-size kitchen, Tv with cable, washer and dryer and range from 1-4 bedrooms! Just outside of the property, the possibilities are endless! Some of the best places to eat are just a short walk away, such as Jim and Nick's BBQ and Joe's Crab Shack! You don't want to miss a meal at either of these places! Also, be sure to stop by Henderson State Park, you can enjoy some of the best scenery the area has to offer and enjoy your privacy on the number of private beaches it gives you access to! Stay at Sterling Shores this year, you won't regret it! Book your Sterling Shores condo rental with ECBYO. ECBYO does not charge you any service fees! Browse our Sterling Shores properties below, contact the property owners directly by clicking on the "Email Owner" button found on each listing. Our Sterling Shores owners will gladly assist you in the booking process and answer any questions you have.